Let us start with the quite popular technique of preventing shareholders from participating in ordinary and extraordinary general shareholders meetings. For this purpose, the venue of the event is defined as a premise inside a restricted access area of the company site. The representatives of the National Commission for Securities and Stock Market, loyal public officials, MPs, etc. are invited in advance to take part in the event. The group of people from a “patriotic public formation maintaining public order” is deployed at the company’s clock house, letting in selected shareholders against the relevant lists and photos. The “peaceful event” is observed by a representative of the local state administration, and from a long distance sneakily via a car bearing the number plate of the national police. For the sake of reliability, the clock house doors are locked by the company’s guards from inside. Unless there is a fight, the police will not come. However, there will be no fight since the law is the weapon of the lawyer. It may seem that modern gadgets provide outstanding opportunities for the photo, sound and video recording of the express infringement of corporate rights. However, the preceding wording of the Commercial Procedural Code of Ukraine did not allow use thereof as instruments of evidence. Instruments of evidence are, according to the preceding and current wording of the CPC of Ukraine, in table. The obstacles faced in practice faced by shareholders and their lawyers. Opportunities suggested by updated procedural law. The preceding Commercial Procedural Code did not allow the use of video recordings for demonstrating infringement of the shareholder’s corporate rights in the course of registration and holding of the meeting. The shareholders whose rights had been infringed had generally irresistible evidence of inability to access the registration site or evidence of holding the general shareholders meeting other than at the address set out in the relevant information letter. These video records were attached by the parties to case files, but the court could have accepted the same for information purpose only. In most cases, the courts did not qualify such files in any way at all. Meanwhile, the European Court of Human Rights in the cases Khan vs. the United Kingdom and P.G. & J.H. vs. the United Kingdom pointed out the possibility of applying sound recording devices and video files as evidence, disregarding the unavailability of the relevant legislative rules in national laws. Acceptance thereof by the court as evidence complies with the ex aequo et bono requirements stipulated by Article 6 of the European Convention on Human Rights. Furthermore, there was a problem of using information posted on the Internet (articles, publications, posts describing “victories of public formations”). In order to register a piece of information as written evidence, a party had to apply to a notary of foreign state entitled to view web pages with further reference to the Treaty on Commercial Disputes Procedure of 1992. Another option was ordering the information expert’s examination opinion covering any information placed on the Internet, and in the event of an audio recording, ordering the transcript of the recording. Thus, as a part of one proceeding we have provided the audio recording of the parliamentary special control committee’s meeting as a piece of evidence in the case. The audio recording was uploaded onto the commission’s official website. As a matter of fact, the option of using photo, filming and video records in cases involving administrative offences has existed since 2008. The effective wording of the CPC of Ukraine classified as electronic evidence any electronic documents (including any text documents, graphical images, plans, photos, video and sound records, etc. ), websites (web pages), text, multimedia and voice messages, metadata, databases and other data in electronic form. Such data may be stored, inter alia, on portable devices (memory cards, cell phones, etc. ), servers, backup systems, other electronic data banks, including the Internet. A court may view a website or page and other databanks on the Internet in order to ascertain and record the contents thereof (!). Similarly, written and verbal explanations on the merits could have been delivered solely by shareholders having the status of a plaintiff(s) or third parties to the case. The courts used to assess such testimonies critically, being interested in the result and subject to no liability for untrue testimonies. Those shareholders whose rights had not been infringed in the course of registration and holding the general shareholders meeting could not have been adjoined or enter a case as third parties. Therefore, the testimonies (verbal, sound recorded or even made in writing) could not have been used for the purpose of proving the court proceedings. Explanations by parties’ representatives and the other persons involved in judicial proceedings. Currently, instruments of evidence do not cover the verbal and written explanations of the parties to proceedings. Instead, the Commercial Procedural Code of Ukraine among the instruments of evidence offers witness testimonies to be executed in writing in a witness statement. In this document the witness, inter alia, acknowledges that he or she is aware of the criminal liability for giving false testimonies, and acknowledges that he or she is ready to appear before the court. The witness’s signature on the statement is certified as true by a notary. 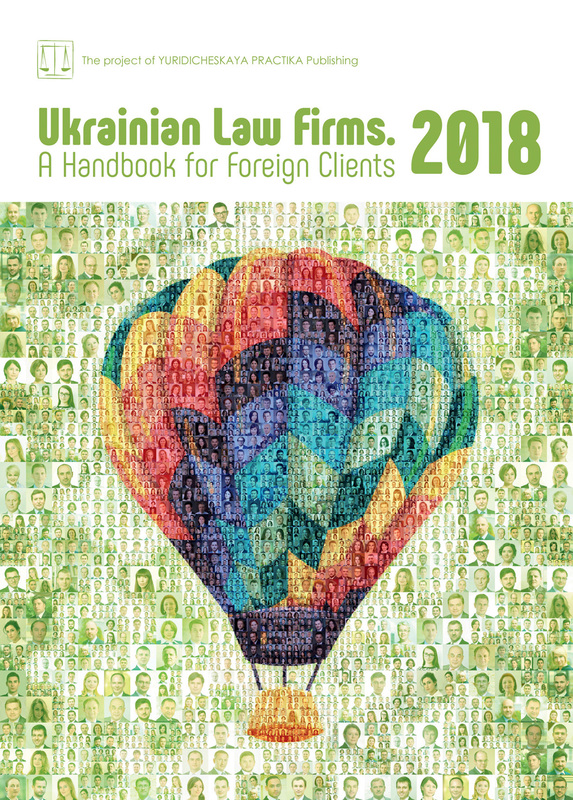 According to Articles 30, 65 of the preceding wording of the Commercial Procedural Code of Ukraine the court, for the purpose of providing explanations on the merits, could summon solely the officials or employees of companies, institutions, organizations, state and other authorities. In case No.910/5808/15-г the Panel of Judges of the Higher Commercial Court of Ukraine pointed out that procedural law does not provide for such source of proof as witness testimonies. However, it does not prevent employment of verbal and written explanations given by individuals who are aware of the relevant measures, such verbal and written explanations to be used as instruments of ascertaining actual data in a case. However, in practice courts did not use the instruments of evidence other than stipulated by procedural laws. Currently, any entities or persons, including the shareholders whose rights had not been infringed, may give testimonies with regard to the merits of registration and holding of the general shareholders meeting. Moreover, the party to proceedings may, in its first statement on the merits of the case or in any annex thereto, pose 10 questions to the other party to the proceedings with regard to any material merits. The answers to the questions shall be delivered to the court by the other party to the proceedings — an individual, chief executive officer or any other official of a legal entity in the form of the witness statement at least five days ahead of the preparatory meeting. The parties to the proceedings are entitled to submit written evidence in the form of electronic copies certified with an electronic digital signature. We expect introduction of electronic courts in future. The party to the proceedings is entitled to provide the court with an expert opinion. The opinion should specify that the opinion is made for the purpose of submitting it to a court and the expert is aware of the criminal liability. A court may not on its own initiative collect any evidence with regard to the dispute subject, expect for requesting the evidence where the court doubts whether the parties to the proceedings are exercising their rights in good faith or duly comply with the obligations relating to evidence. The plaintiff should provide the evidence along with filing the statement of claim. The defendant, the third party without separate claims regarding the subject matter of the dispute should provide the court with the evidence and also file a statement of defense or the explanations, respectively. Once evidence cannot be provided meeting the set timelines, the party to the proceedings should notify the court of this in writing. The court may approve an additional term for providing the said evidence. Evidence which is not filed within the period determined by the law or a court is dismissed by the court. Copies of evidence should be sent in advance or handed out to the other parties to the proceedings. The court dismisses the relevant evidence once there is no proof of providing copies thereof to the other parties to the proceedings. The new strictrules on the disclosure of evidence improve discipline among the issuing defendants and the third parties, preventing delays in court proceedings. In this article I have focused on several procedural innovations improving the chance of shareholders to reach judicial defense. Among progressive regulations, there is the regulation on electronic evidence, the court’s right to view a web page or website to record the contents, witness testimonies, timelines on evidence filing, the option of ordering expert examination by the party. On the other hand, subject to overregulation of the process and consequences of failing to comply with the procedural rules, the efficiency of such defense will directly depend on the professional work of lawyers, and sometimes on the ability of the parties to the proceedings to pay considerable legal expenses in advance.